When children begin having problems in school it is easy to suspect ADHD. Children with this disorder have difficulty paying attention, keeping their bodies and emotions under control, and interacting with other children. But ADHD is not the only thing that causes these struggles. 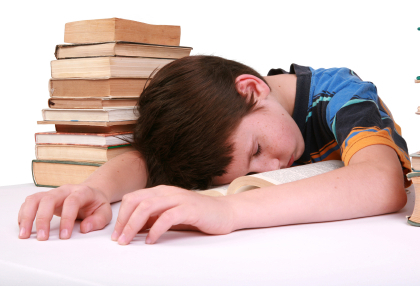 Many children with self-regulation issues do not have a brain problem – they have a sleep problem. 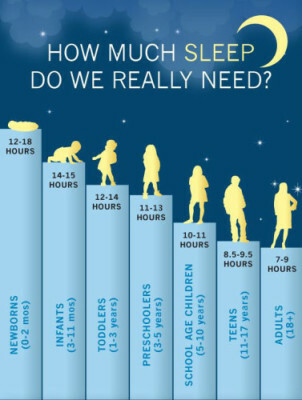 Many children need more sleep than they are getting. Lack of sleep makes you irritable, interferes with social skills, and makes it very difficult to maintain the kind of focused attention that is needed for the amount of learning that happens in each school day. Children can’t drink more coffee and slide through a day tired. If they miss a skill it will show up in later testing or future learning. Not only that, but children who are sleep deprived are less likely to remember what is learned because their brains need time to process information. School-aged children need 10-11 hours of sleep a night, younger children need even more. But even beyond that, other activities can wear down the brain making it harder to get control of focus, body, and emotions. Here are recommendations for helping your child to be a better learner. If your child’s teacher has concerns about focusing ability, try these suggestions before seeking an ADHD diagnosis. If your child already has an ADHD diagnosis the following will help support other therapies. Do stop medications without the guidance of a medical professional. Do your best to see to it that your child gets the recommended amount of sleep. If you are not even close at this point, then make a plan to improve things. Reduce screen time, especially up to an hour before bedtime. This will help the brain to calm down. Encourage more time spent outside during the day. This will help to improve sleep at night. Develop a bedtime routine that allows for comfort, calming down, conversation, and prayer. This will tuck away the day and prepare the brain to process information learned.